Iran's second largest airline has begun direct flights to Venezuela, as Tehran voices support for Caracas against a U.S.-backed opposition. Iran's official IRNA news agency says Mahan Air's first flight to Venezuela left Tehran on Monday carrying a Foreign Ministry delegation. 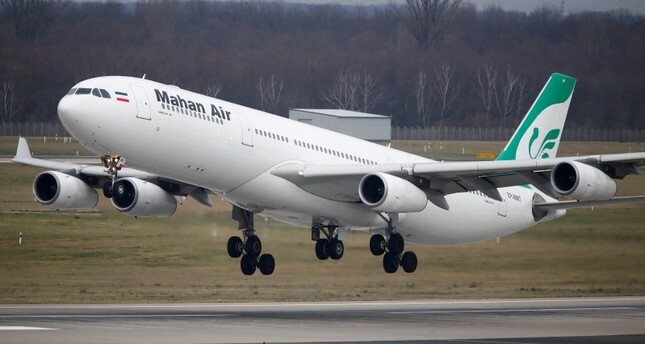 Spokesman of Iran's Civil Aviation Organization Reza Jafarzadeh told Mehr news agency that a delegation from Mahan Air was also traveling to Caracas to discuss maintaining regular flights between the two countries. Mahan Air, established in 1992 as Iran's first private airline, has the country's largest fleet of aircraft. The United States imposed sanctions on the company in 2011, saying it provided financial and other support to Iran's Islamic Revolutionary Guards (IRGC). The U.S. government has recognized opposition leader Juan Guaido as Venezuela's interim president. Most Latin American countries have done so as well, while European governments are also throwing their support behind Guaido, albeit more cautiously.